Chrysler released the hemispherical combustion chamber engine in 1964 and took stock car racing to a new level. At Daytona the dominant drivers on the circuit -- Fireball Roberts, Fred Lorenzen, Marvin Panch, and Joe Weatherly - were shocked to see Plymouths and Dodges setting new records that were inconceivable a year before. Paul Goldsmith qualified for the pole at 174.910, and Richard Petty sat on the outside at 174.418 (up from 154.785 in 1963). While the Hemis were running in the 170's, the Fords favored by racing's elite were running in the mid-to-high 160's. Such racing legends as Marvin Panch, Jim Paschal, Ned Jarrett, Fireball Roberts, and Fred Lorenzen, all driving Fords, were scattered throughout the rest of the field. At the end of the race, Chrysler held four of the top five positions. They went on to win 26 of the 62 races in the 1964 season. The Hemi was like taking a round ball and cutting it into two pieces. The intake valve was on top with the exhaust valve on the bottom. The piston came up between the valves for efficient fire and release. The design allowed for large intake and exhaust valves and made room for improved breathing and complete combustion. "It was a production engine, and any ordinary mechanic could have it producing 550 horsepower in short order," said Cotton Owens. "Of course, when you line up and enlarge the ports, grind under the valves or any of the little things racers do in fine tuning, then you have an engine capable of 650 to 780 horsepower, depending on how high you want to turn it." But the cars were too fast for the short tracks, and Ford won 11 of the next 15 races. The cars were also too fast for the tires, and some of the drivers were getting nervous after crashes that claimed the lives of Fireball Roberts, Jimmy Pardue, and Joe Weatherly, and the Hemi disappeared as NASCAR began looking for a middle ground in horsepower. In the early 60s, Chrysler released two new engines -- a 413 and 426 ci with a wedge shaped cylinder head design. These engines were called the "Max Wedge." The "Max Wedge" was making a name for itself on the drag strips and Chrysler decided it was time to be taken seriously in the NASCAR circuit. The 426 Max Wedge was strictly a race engine and was offered in Plymouths as the Super Stock 426 and in Dodges as the 426 Ramcharger. The Hemi engine reintroduced in 1964 was the called the "Race Hemi." This engine was developed from the 426, but featured a Hemi-head. The result was the 426 Hemi. 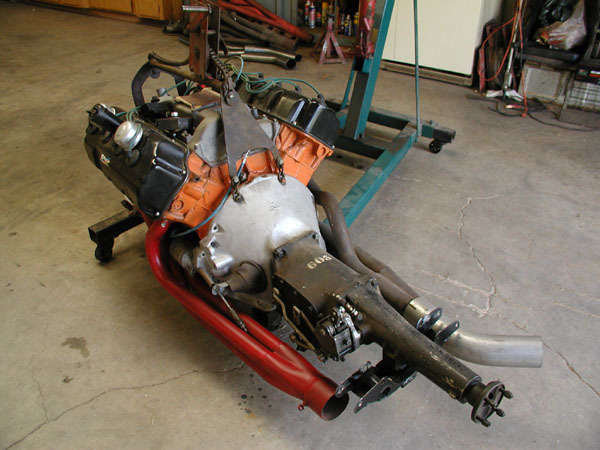 The 426 had iron heads, a 12.5:1 compression ratio, and single Holley 4-bbl carburetor mounted on a cross ram manifold. Engines intended for the drag-strip had an aluminum cross ram with dual Holleys. In 1965 the A-990 race Hemi was introduced with aluminum heads and magnesium intake manifolds. Hot Rod Magazine (HRM): What was your opinion of the new 426 Hemi when it arrived on the scene at the 1964 Daytona 500? CO: In 1963 we were running a Dodge with a 426 wedge engine. It did not have enough stuff to outrun the Pontiac engine at that time. But then they came out with the Hemi which changed everything. I had been urging Chrysler to return to the Hemi design based on my success racing one in the Fifties. It was a Chrysler 354 in a modified Plymouth that I won Daytona Beach with in ’53 and ’54. In 1962 when Dodge wanted me to go racing with them I said; “Why don’t you go back and pick up with the Hemi engine because you don’t have anything to compete with the Pontiac engine right now”. Back then we had to go by AMA (Automobile Manufacturers Association) specifications. You couldn’t modify the engines like you can now. They had to be strictly stock with factory part numbers on them. The head had to hold so many cc’s, you could only bore the block so much, the deck clearance had to be the same as what the manufacturers supplied to the AMA. 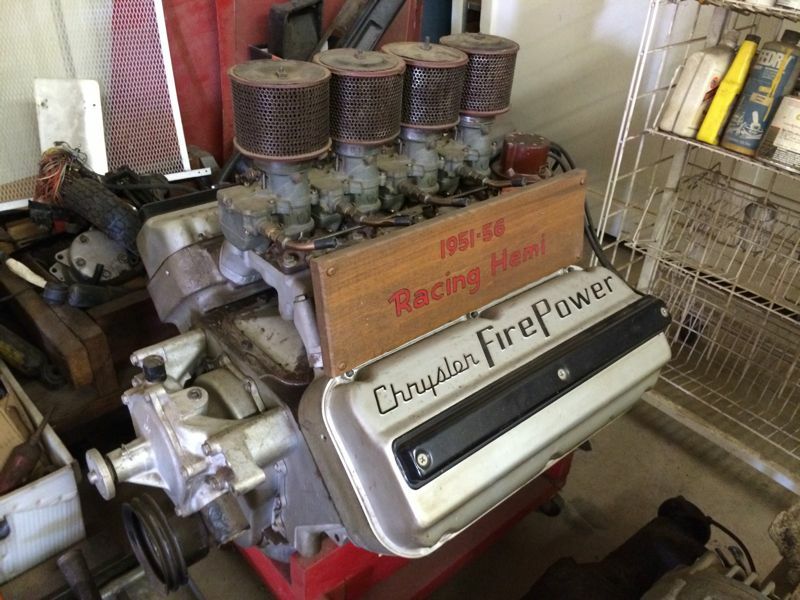 I pointed at the 1955 Chrysler Firepower Hemi engine I had sitting on my shop floor from my Modified car and said; “That’s what you need to go back to to take on the Pontiacs”. Gale Porter, my contact from Chrysler, promised me a Hemi engine in 1964. HRM: What did you think when you uncrated your first 426 Hemi? CO: Oh, I knew it would run. HRM: It’s no secret that an iron headed Hemi is quite a bit heavier than a wedge headed 426. Was this a problem on the racetrack? CO: There certainly was a weight difference, but it was outweighed by the power increase. We had to weigh so much anyway, I think it was close to 4000 pounds, so the extra engine weight wasn’t a factor. Tire wear wasn’t affected much either. HRM: What was your daily driver? CO: I had a 1964 Hemi Dodge that my son drove back and forth to college. HRM: When NASCAR put a temporary ban on the 426 Hemi in 1965, you went drag racing. Was that fun? CO: It was a great experience. We put a Hemi in the back of a 1965 Dodge Dart station wagon, painted it yellow and called it The Cotton Picker. You could adjust the car to transfer so much weight to the rear wheels it would do wheelies. But when NASCAR accepted the Street Hemi as a regular production powerplant, we went right back. I was always a roundy round racer at heart anyway. HRM: How does the recent revival of the Hemi engine design at DaimlerChrysler make you feel today? CO: It makes me feel great because I feel that I was one of the instigators who helped establish the Hemi’s legend in the first place. Today I’m not involved with the Dodge NASCAR program. I run a Chrysler salvage yard. But I just got done building a ’64 Dodge like we raced in ’64 with a Hemi engine. In fact it has the second Hemi engine I ever got from Chrysler in 1964. I’ve got several of them left to this day.